Simple, yet addictive. 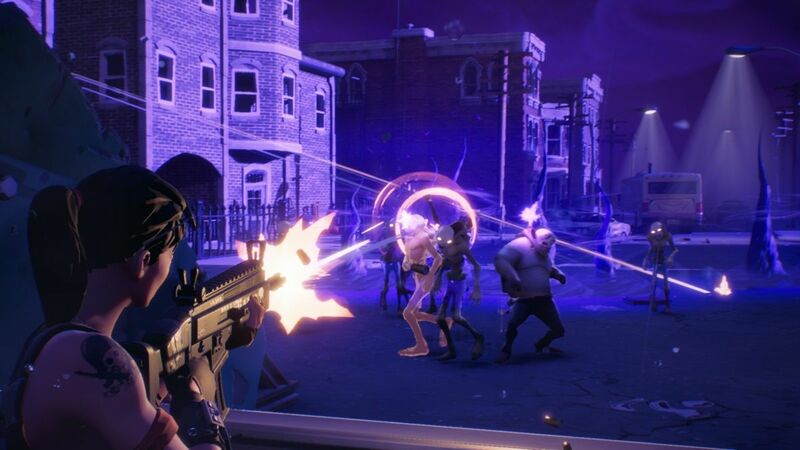 These are the signs of a truly classic game, and Fortnite is such a game. 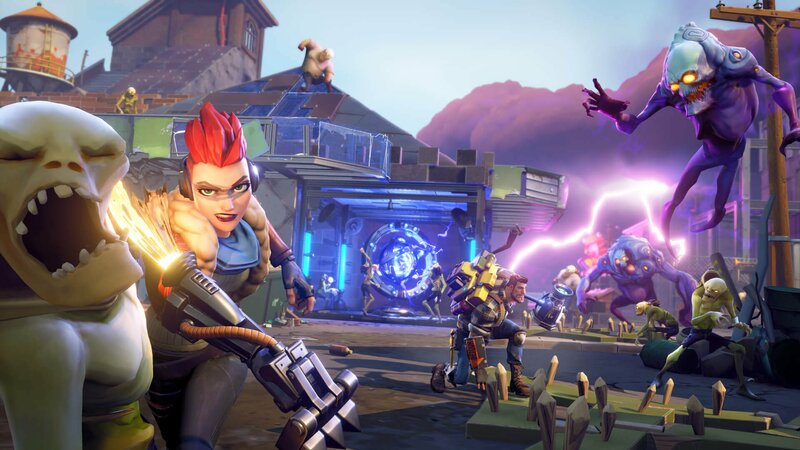 Epic’s latest FTP battle royale on the PS4 has players fighting it out against 98 others in a free-roam(ish) world. You can ride solo, go as a duo or a squad of up to four. The game match-makes you with others and then drops you into the world. The aim of the game is to be the last one standing. It’s like PUBG, but a little more accessible. You can choose where you go; follow the crowd or make a dash for an area that might be yours and yours alone. When you land, you start off with a pick-axe and a bad attitude. From there you can loot houses for weapons and health boosts, find crates as you go and also materials you can use to build structures to ensure your safety. Watch your timing and where you land though; the game has a “storm” feature that takes away some of the free-roam nature of the game. It forces you (via death if you don’t) to head towards the “circle,” the eye of the storm where you’re safe from the weather, but not from other players. It essentially makes the map progressively smaller until you are dead or the winner. It sounds really simple, and it is. Land, find stuff to shoot with and survive to the end. But it’s highly addictive gameplay and you can go at it with a variety of strategies. My favorite is to make a beeline for a quiet area well outside ‘the circle’, loot places that no-one else is at, and make my way toward “the circle,” hiding in bushes and anywhere else until the last moments where I need to go aggressive and fight. It’s brought me a little success. It’s a harder sell to my team-mates when I’m playing duo/squads though. My online mates are a little more dash-and-slash adventurous and that forces me into the uncomfortable position where I’m risking almost certain death on a regular basis. I’m getting better at it, slowly. The weapons range from a revolver, to assault rifle, to sniper rifle and grenade launcher. The health boosts go from bandages to med kits to shield potion. You have limited slots – a total of five – so you need to decide what to take and what to leave behind. Personally, I try to go for three weapons and two health boosts. I try to stick to assault rifles and shotguns, they suit my play style better. Health-wise, if I can get a shield potion I down it right away. 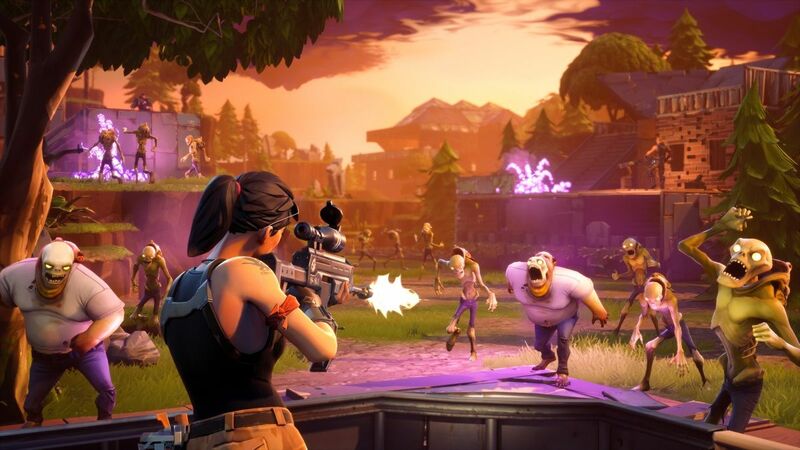 In duo and squad play you also can revive downed members of your team but it comes at a risk of being downed yourself as it takes about nine seconds, during which time you are completely vulnerable to being picked off. Fortnite isn’t just an online game; there is also story mode where you battle against progressively harder AI characters, and use micro-transactions to buy your way to glory; but online is truly where the magic happens with this game. 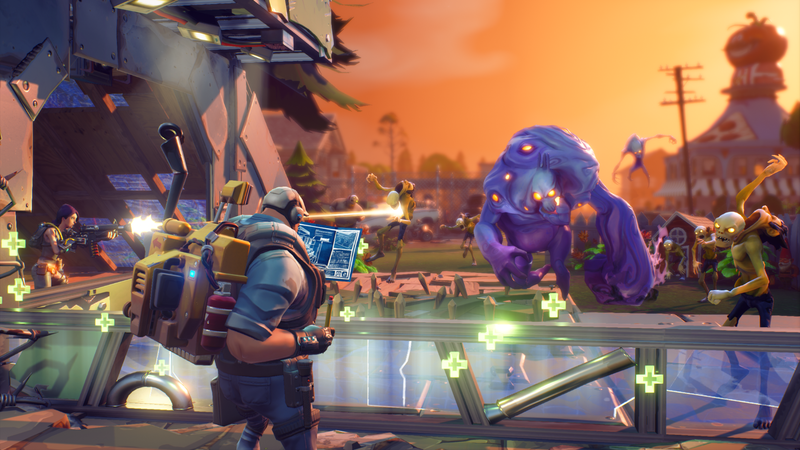 The dev team at Epic Games is also pushing regular updates for the game so that there is always something new going on and tweaks to the way things work. They really are spending a lot of time on the game. So get three of your friends, set up a party chat and have a blast – literally – at a very addictive game.